Various sizes of print available. Prints of this original oil painting are still available - please click on the "Prints and More" tab. 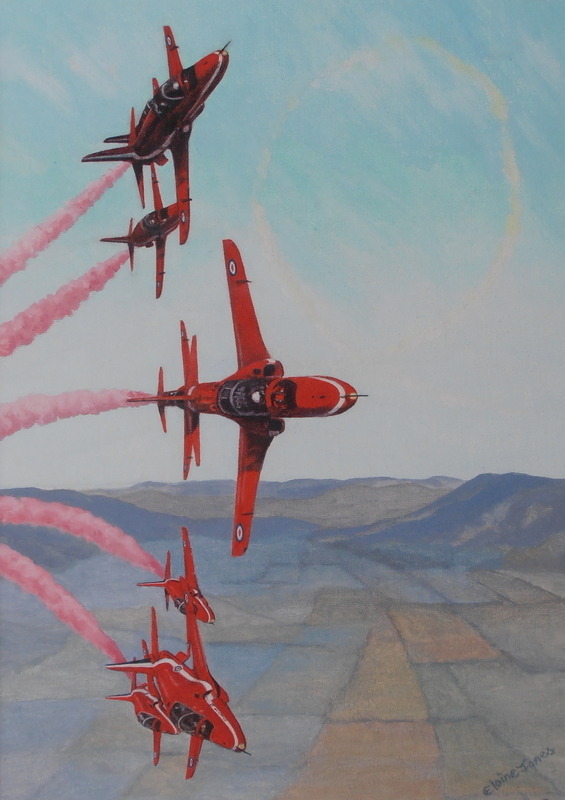 The Hawks of the RAF Red Arrows display team in perfect formation.